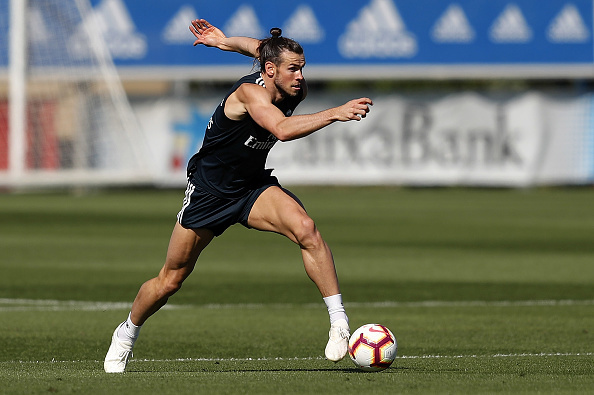 Wales international star Gareth Bale is fully back in Real Madrid training ahead of his club game against Levante on Saturday after a muscular injury. The Winger left Wales squad early after not passing fitness tests to play against Spain or the Republic of Ireland over the international break. Bale had an injury in last month Madrid derby and despite featuring in the recent 1-0 defeat against Alaves, there had been fears his injury had returned. Wales coach Ryan Giggs has revealed that the injury was not serious but it was reportedly stated that Gareth Bale had been training alone since returning to the Spanish capital. Real Madrid have not scored a goal in their last four matches while Dani Carvajal is the only outfield player unavailable for the former spanish coach Julen Lopetegui.